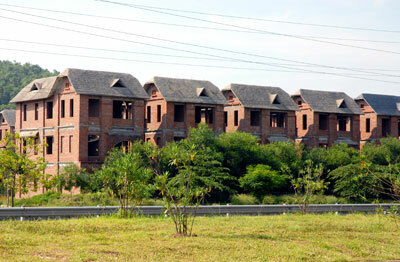 The Ministry of Finance still has not decided whether to tax houses or let them be exempt. As a result, it is collecting public opinion for the Housing Tax Bill before submitting it to the Government. Following previous times when they have put the housing tax plan on the table at National Assembly’s meetings and failed to get support from National Assembly deputies, the Ministry of Finance is making amendments to the bill to make it more palatable. Whether to tax houses has still been left open. However, the ministry has suggested has spelled out three different options. In Option 1, the tax people have to pay will be calculated based on the taxable areas of houses. The area to be the threshold for taxation is 200 square meters. The taxable areas of houses are the total areas of houses or apartments, including the areas of balcony and supplementary items. In cases where individuals own many houses, the taxable areas will be the total areas of all houses and apartments. The tax sums on houses will be stabilized every 5-year commencing from the first year the Housing Tax Law takes effect. With the Option 3, MOF plans to collect tax only from the individuals who have two houses or apartments or more. In this case, the taxable area will be the area of the second, third and next houses. MOF has also discussed proposed solutions on tax exemptions and reductions to be applied to some subjects. If the new proposals get approval in the next sessions of the National Assembly, MOF hopes the law will take effect on January 1, 2012.